Learn to control the cycle by recognizing causes and triggers. Some people cope with difficult situations by reaching for comfort food. Chowing down on ice cream or macaroni and cheese can make everything seem like it's going to be okay. And there may be a reason why, according to the Harvard Special Health Report Lose Weight and Keep It Off. Turns out, there are parts of the brain that are rewarded from eating high-fat or high-sugar foods. And more than a decade of psychological research suggests that any behavior that is rewarded is likely to be repeated. However, eating comfort food when things get tough—also known as emotional eating or stress eating—is not a solution to life's challenges. It only works temporarily. Worse, it causes longer-term distress if it brings about weight gain. You may be able to stop stress eating or emotional eating by figuring out why you need comfort food. Does it calm you down, cheer you up, compensate you for a tough day, or some combination? Recognizing these thought patterns can make it easier to resist giving in. It also helps to realize that emotional eating doesn't solve the problem that made you upset. Another way to control emotional eating is to figure out what your triggers are. Keep a food diary that records not only what and how much you ate, but also how you felt at the time. Once you recognize a pattern, develop a strategy to break it. For instance, if you often eat because you think you deserve it after a tough day, remember that you also deserve to lose weight, feel healthy, and be proud of yourself. If you eat because of stress, learn to dial back that stress. Yoga, meditation, and regular exercise can help reduce stress levels. The best distractions from emotional eating are things that take only about five minutes—just long enough to help you switch gears. The more ways you can think of to distract yourself, the easier it will become over time to stop stress eating. Instead, resisting will become your new habit. If you're unsuccessful trying to stop stress eating on your own, consider turning to a therapist for cognitive behavioral therapy (CBT). CBT encourages you to discover and expose negative and unproductive ways of thinking—such as grabbing that chocolate bar—and teaches you to replace these thinking patterns with more helpful ones. Then, next time you have stressful situation, you might say to yourself, "I'm really upset, but if I eat to soothe myself, I'll feel upset about my weight, too. Instead, I'll go for a walk so I can calm down and feel better." 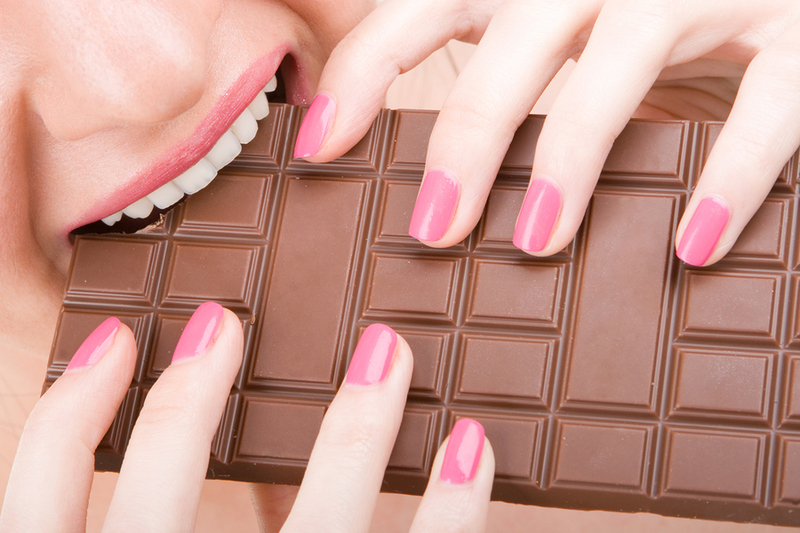 It may take a combination of approaches to stop stress eating. But becoming aware of the problem is a good first step to breaking the cycle.